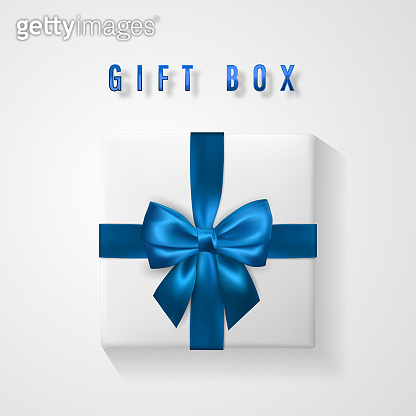 Set White Gift box with blue bow and ribbon top view. Element for decoration gifts, greetings, holidays. Vector illustration.